The City of Madison, Wisconsin is one step closer to constructing a citywide municipal fiber network after obtaining the results from a broadband feasibility study. The consulting firm hired in December 2015 recently completed the study and made it available to the city’s Digital Technology Committee and the public. The report recommends Madison build an open access dark fiber network and engage a partner to offer services to subscribers via the infrastructure. Westminster, Maryland, and Huntsville, Alabama, use the same approach with partners Ting and Google Fiber. Madison’s network would build on the existing Metropolitan Unified Fiber Network (MUFN), a smaller fiber network that was funded with stimulus dollars through the 2009 American Recovery and Reinvestment Act (ARRA). It connects public institutions such as the University of Wisconsin, Dane County, hospitals, K-12 schools, and DaneNet, which is made up of 28 community groups serving low income families and seniors. Consultants suggest Madison retain ownership of the infrastructure in order to maintain control of the asset and the city's future connectivity. The City would fund the $150 million cost of building a dark fiber network and their private partner would contribute an estimated $62 million to connect properties. Consultants envision the partner responsible for cable to residences and businesses, network electronics, and consumer electronics, bringing the total cost for the project to approximately $212 million. "Now here’s the key: that’s a lot of money. The report talks about how to get it and we can bond and do a lot of other things, but it basically says to make this happen, you need a private partner," said Barry Orton, a member of the Digital Technology Committee. Orton went on to say that a more specific cost estimate, including identification of partners, would be forthcoming, as soon as Spring 2017. While the study reveals significant interest in a municipal fiber network, city officials recognize that big corporate incumbents keep a strong hold on the state's legislative landscape. “All they are doing is recycling customers,” said Madison Mayor Paul Soglin of big incumbent Internet Service Providers (ISPs) in the feasibility study press conference. 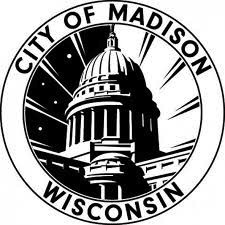 Madison has discussed residential broadband access for several years and in 2013 established a Digital Technology Committee to address the city’s digital divide. The committee first looked into universal wireless access, but determined an open access citywide fiber network would better fit the city’s needs. They went on to establish a fiber pilot in four low-income neighborhoods. Open access fiber networks offer several advantages over fixed wireless models, including longevity and the potential for meaningful competition. In an open access network, multiple ISPs can compete to provide service to residents via the Infrastructure, which leads to better customer service and more affordable rates. In a fixed wireless model, a city typically contracts with one ISP. Madison’s fiber pilot program is still under construction but all eyes are on the feasibility study. While pilot programs are a good way to obtain data about the interest in a community, Madison may not need to wait for data to begin pursuing a municipal fiber network. The study commends the pilot program for its role in promoting resident trust in the city as an infrastructure provider, but the survey results suggest demand for citywide fiber access already exists. While most respondents report they have access to the Internet through a wired connection at home (89 percent) or through a cellular device (77 percent), those numbers drop significantly for low-income respondents: 24 percent of households making $24,000 or less have no Internet access at all. As for willingness to choose a high-speed connection, the majority of residents would be willing to switch from what they have (cable or DSL) if the price were under $50 per month, even with a one-time hook up fee of up to $250. In 2011, Wisconsin Governor Scott Walker’s administration turned down $23 million in federal funding to improve Internet access, citing “too many strings attached” to the grant. More recently, the state made $1.5 million available to incumbent ISPs to expand service in rural areas; they claim funding will improve service for about 8,500 households. Given their track record of unfulfilled promises, Wisconsinites aren't holding their breath. Some federal funding for fiber is available, and Barry Orton suggested that Madison expects more will be available after the 2016 election. “We might be, next spring, shovel-ready for whatever federal money is possibly available for cities to pursue these kinds of things,” said Orton in the feasibility study press conference.